Every time you get behind the wheel of your vehicle, you or a loved one may be at risk of incurring serious injuries in an accident, which was caused by a negligent driver. In some cases, those injuries could have life-changing consequences, and thereby leave you and your family financially devastated. Therefore, it is important that your rights are protected, and that you have professional legal assistance, in order to be equitably compensated for your injuries. And that is our job, because you cannot fight the insurance company, and the legal system, on your own. 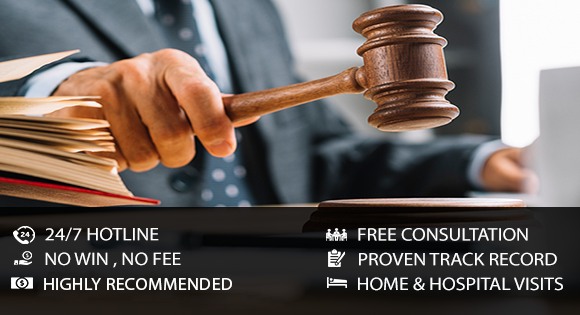 Our team of experienced lawyers will be more than happy to help you get justice. Keep in mind that if there are other compensation-related factors to take into consideration, we will be able to identify them and include them in your case. Remember, even if you are the at-fault driver, you could be entitled to these accident benefits and be compensated for them. You can also file a claim for accident benefits if you were a bus or streetcar passenger, cyclist, driver of a vehicle, passenger in a vehicle, or even a pedestrian. Additionally, family members may be able to file a claim for attendant care, housekeeping, and any other services rendered; economic losses and expenses; and loss of care, companionship, and guidance. BLPC Law is always available to consult with you regarding your motor vehicle accident case. For more information we encourage you to contact us today.